Tesla Lee, ’16: I had the unique privilege of traveling to New York City this winter, after receiving a generous research grant from the Carolina Center for Jewish Studies, to complete some archival research for my undergraduate senior honors thesis. 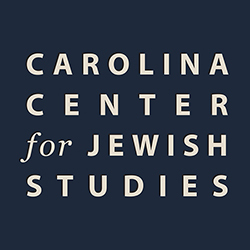 I am sincerely grateful for having had the opportunity to work with the Carolina Center for Jewish Studies to complete this research. I offer a genuine thank you for helping to make my first trip to New York City both atypical and rewarding. It is my hope that I can continue working on this subject in the future. Collin Davis, ’15: For me, it was simply a question of what would I really like to learn about for two years. It wasn’t going to be chemistry or math, or even history. But religious studies, that was interesting to me,” said Collin Davis, ’15, who soon will be the second undergraduate to complete the new degree program in Jewish studies. Since transferring to Carolina, he has had courses with 10 different Jewish studies faculty members who are based in five different academic departments. Jocelyn Burney, ’14, had a childhood dream of being an archeologist. Now, as a Religious Studies and Archaeology major, she has spent the past two summers in Huqoq, where she has learned an important lesson: that hands-on interaction with history is an experience no textbook can convey. Burney’s plans for the future are aimed at fulfilling her childhood dream, made more real by her experiences at Huqoq. She is applying to graduate programs in religious studies and will continue to spend her summers at the dig in Huqoq. Tony Botros, ’14, is a chemistry and biology double major from Milwaukee who plans on enrolling in medical school. In summer 2013, he worked at Professor Magness’s archaeology dig in Israel. For Botros, working on the site when the mosaics were uncovered was a very powerful experience, “a memory I’ll never forget.” Though his future plans include medical school, Botros also intends to remain involved in archeology in the Holy Land. Adam Yosim, ’10 Yosim was drawn to Carolina by its prestigious journalism program, but he has also found many other opportunities on campus, including singing with the Jewish a capella group and minoring in Modern Hebrew. He has loved all his journalism courses, but one of his favorite courses at Carolina was in Jewish Studies.